The University of Groningen has Sustainable Building as a high priority. Below are some projects where sustainability are key elements within the new building. 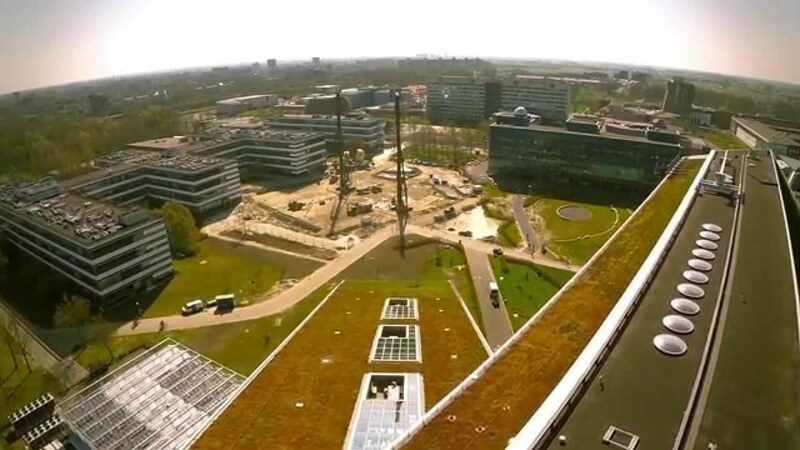 The new, ambitious building for the Energy Academy promises to become the most sustainable education building of the Netherlands. The BREEAM-rating ‘Outstanding’ sets extremely high standards of sustainability and energy consumption in the new building. On the Zernike Campus Groningen a large, sustainable construction will be build for the Faculty of Science and Engineering (formerly known as the Faculty of Mathematics and Natural Sciences). The new building, named Feringa Building, will be one of the largest construction projects in the Netherlands and will house some 1400 students and 850 staff members. Alongside offices and teaching rooms, the building will also house a wide range of specialized laboratories, including physics, chemistry and low-vibration labs. Significant building will be build on the Zernike Campus Groningen. Groundbreaking Buildings for Groundbreaking Research! The building for Energy Academy Europe starts first (March 2015) and will be ready medio 2016. The construction work for Feringa Building starts in 2017 and will run until 2021. Including demolishing the current complex Nijenborgh 4 the total work will take places until 2022. > Follow the Groundbreaking Work live through our webcam. Last modified: 03 November 2017 11.45 a.m.